Most of these survey sites also enter you into competitions. Some sites you can put your points into more tickets into sweepstakes or you'll be entered automatically without giving up any points.. each site is different in that respect but I have won my choice of an iPhone, iPad or cash prize before without giving up any points. Lucky me! NOTE: Some of the links are to the Australian versions of these sites however most of them have US, UK and European etc. sister sites so be sure to still check the link if you're interested and click over to change your international settings. Each survey you complete will earn you points. 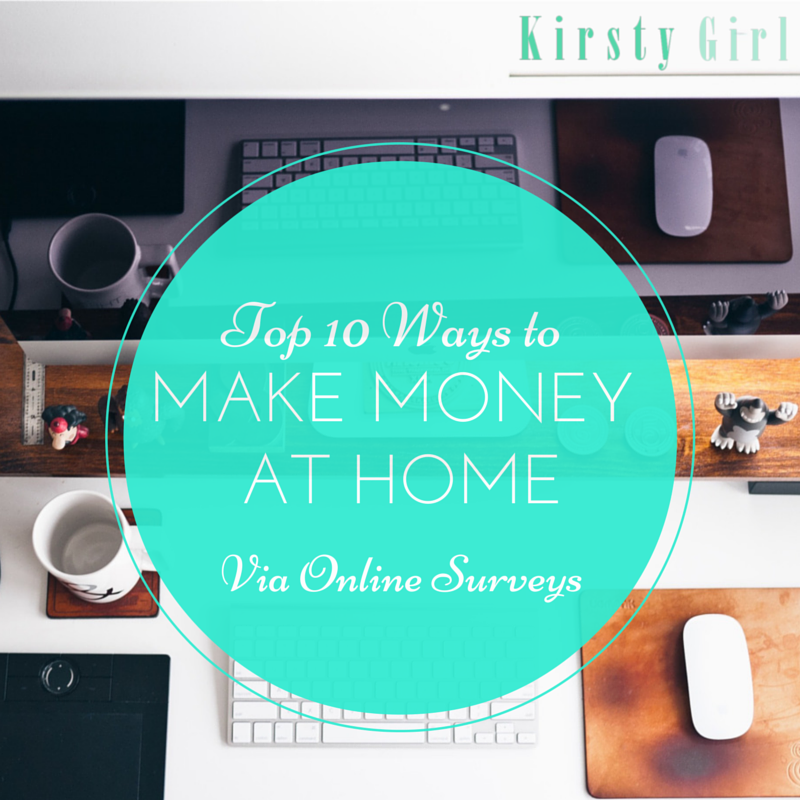 Surveys are usually around the 20 minute mark and earn you $3.00AU. Once you've reached the $20 mark you can take out your cash in the form of a gift card, simply choose the card you want. Gift Cards (Australian): Supercheap Auto, iSubscribe, Hoyts, Rebel, Dymocks, Woolworths, Bunnings, Coles, Sanity, iTunes, JB Hi-Fi, Wow HD, eFragrance, Myer, the Iconic, Deals Direct and XBox Live. This site while still a good way to earn a little something seems to have less earning potential from my experience. Again, slightly less earning potential here as many of the surveys are very quick. The more time consuming the more points you normally accumulate. Toluna has to be my favourite as I won $715 from them a couple of years back. Thank you Toluna! This is a good option for longer surveys but they come around a little less frequently. There are also games to play to earn points. Another good site for longer surveys, plus the average 20 minute kind. This is another good one, I quite like it because Rewards Central and My Opinions accounts can be joined which helps you cash out faster. This is another good one for average survey lengths. Another good survey site for the average 20 minute length survey. I hope you'll find this survey sites as useful as I did. I even think they helped to send me down the internet marketing path as well as earn me a little extra. Have I missed any good ones? Let me know in the comments!